Laura: I don't want to give away any spoilers, but the scene where Freddie realizes what a loathsome criminal his father is was really tricky to write. We tried all different levels of shock and trauma before we finally hit just the right note. As for favorites, I love any scene of banter between Lulu and Freddie, and I adore the ending. Adam: I love the journeys that Lulu and Freddie take that precedes their meeting: Lulu acclimating to a totally new and strange life in Hollywood in Starlet University, and Freddie rejecting all of the trappings of his billionaire upbringing and riding the rails through the country, deep in the throes of the Great Depression. I LOVED WRITING THAT! Adam: Again, see above! I lived for the Agatha Christie books. They are the gold standard for mystery. Marjorie Morningstar too. Listen, I love the classics, and this has just been the strangest, most wonderful adventure for me. I can’t quite believe it’s all real. How long did you work on GIRL ABOUT TOWN? Laura: We talked about Girl About Town for a long time before we sat down to work. But I think the novel took about a year to write. Adam: It’s odd. I can’t remember, but it felt like it went fast. By the time Laura and I started digging into the book, we had already written many chapters in advance to just sell the book. So once it was bought and we dug in to finish it, I think that process only was like 6 months, but there was a lot of casual talking, then outlining before we started. Laura: This was my first collaboration, and I learned that I really love to work with a writing partner and friend! Writing is usually a lonely activity, but this time there was always someone there to brainstorm with, or commiserate when a scene wasn't working, or come up with a brilliant new idea. It is a joy working with Adam! Adam: At the risk of sounding corny, it taught me courage. I have always been lethally afraid of writing and I worship authors. It just seemed like something that I would never be capable of. Laura really pushed me, and I just sort of succumbed because she believed in me, so I’m really grateful to her. Also, like every other thing that I do, and sometimes it does feel like I have 6 active careers going simultaneously, I learned that there is literally nothing to fear but fear itself. Writing, like dancing, is something everyone can and should do. Not everyone needs to take it to a professional level, but the cathartic and healing nature of both those practices is immeasurable. 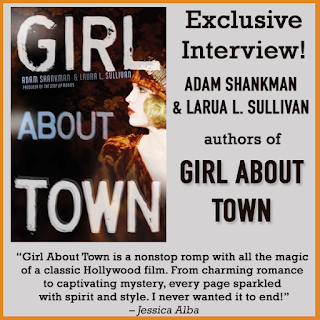 What do you hope readers will take away from GIRL ABOUT TOWN? Laura: The book is about many things, but in part it is about the precarious nature of anyone's position in society, and how you define success. I hope readers know that life is always changing – and that even when the world throws big, scary, terrible things at us, we always have some say in how we react to it. You might be up, you might be down, but you can always change. Adam: Just a sense of joy. That’s kind of been my stock and trade. It’s a fun romp. The characters are all very relatable and contemporary but live in a world of glamour and innocence that we haven’t known in a very very long time. Laura: I wrote five or six manuscripts before I wrote my first published book, Under the Green Hill. When I finished that, I was sure I finally had something worthwhile and sent it out to tons of agents – only to be met with universal rejection. I actually gave up writing for years, and became a deputy sheriff. Then when I had a baby and left the sheriff's office I read the old manuscript, cleaned it up a bit, sent it out again – and had an offer within a few weeks. So you never know. 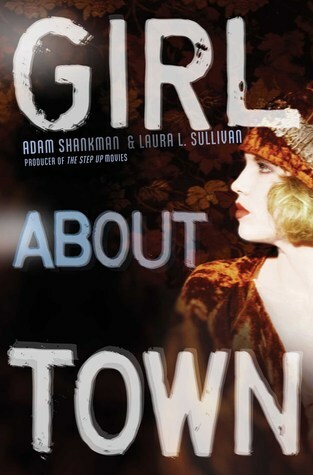 Now I have six novels out (as well as more than 30 nonfiction titles) and Adam and I have a sequel to Girl About Town coming out next year. Adam: I’ve never written a book before. Now I feel sort of compelled to keep writing. It just makes me feel better in my life to continue to make stuff up! Adam: I’d have to say I was pushed uphill by Laura. She just believed in me so much, and always expressed so much appreciation for my work and the way we collaborated. She made me feel capable and deserving of this opportunity. I can’t say it enough: I am eternally grateful to her. Laura: I work at home, outside if the weather and mosquitoes cooperate. I need solitude to write. I can edit with a little human distraction, but for a first draft I'm a recluse! Adam: I can’t write in total still silence. I pour myself something to drink and have it nearby, I put on Turner Classic movies or my Lulu Kelly 1930s music playlist that I made, and I try to give myself goals, be it time or something like, finish a chapter or even 7 pages. Once I have that goal in mind, I’m ready to go. Laura: When my son says he wants to be a writer, I tell him to get a day-job he really loves, one that can pay the bills, and write on the side. Which is not exactly what I did! I know, I know, I'm getting ancient and practical! But writing is a very unreliable career path. Still, there's nothing else I've ever truly wanted to do with my life. Writing is my passion. As far as the craft, the only way to be a writer is to write. Don't think about what you want to write someday. Just write now. Adam: There’s no way through it, except through it. Don’t judge yourself. Leave that to everyone else. Just do your best and say whatever’s running through that super highway between your heart and your head. Oh! And love your villains. They’re people just doing the best they can, too. Laura: I just finished a middle grade book about an island run by a cat mafia. It is looking for a home right now. Adam: Do you have 8 or 9 more hours? 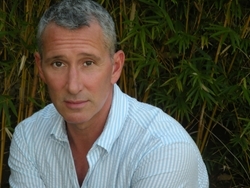 Lets just put it this way: I’m involved with movie, TV, theater, book, and charity projects that are all active. And we just handed in the second book in this series. I kind of pitched the third to our editor, so fingers crossed! Have you had a chance to read GIRL ABOUT TOWN yet? Have you ever taken a big chunk of time off from writing before jumping back in? When you write do you say whatever’s running through the super highway between your heart and your head? Share your thoughts about the interview in the comments! Wow i am so excited about the girl in the town.